The Governors join a host of area schools in this event, squaring off against student-athletes from Evansville, Lipscomb, Rhodes, Trevecca and Vanderbilt in addition to the host Bruins. On the women’s side, the Governors return a trio of senior leaders in Sarah Carpenter, Becca Wheeler and Sarah-Emily Woodward, with Carpenter Austin Peay’s top finisher at the 2016 Ohio Valley Conference Cross Country Championships. That trio will be bolstered by the arrival Caroline Kiplagat, a member of Florida A&M’s 2015 MEAC Championship squad, as well as a quartet of freshmen in Alura Endres, Keleah Shell, Sophia Wilson and Jada Hale, the latter of whom will not compete this weekend. 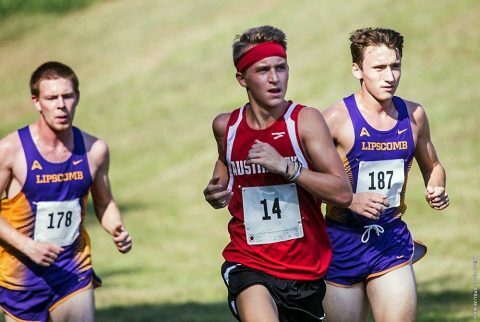 The men’s squad returns five from 2016, with junior Wesley Gray leading the way—he was Austin Peay’s top finisher at both the OVC Championships and the NCAA South Regional last season. Hezron Kiptoo, whose 25.37.50 8K mark at the JSU Invitational was best by a Gov last season, also returns along with sophomores Andrew Abel (not competing at Belmont), Tyler Smith and Nash Young. Six newcomers, including fifth-year transfers Mathew Biwott (Young Harris College) and Shadrack Matelong (Middle Tennessee), will aid the APSU men’s attack. Freshmen Daniel Davis, Elliot Giles, Wesley Martin and Thomas Porter also will don the red-and-white for the first time this season, with Biwott, Davis, Giles and Porter set for competition this weekend.